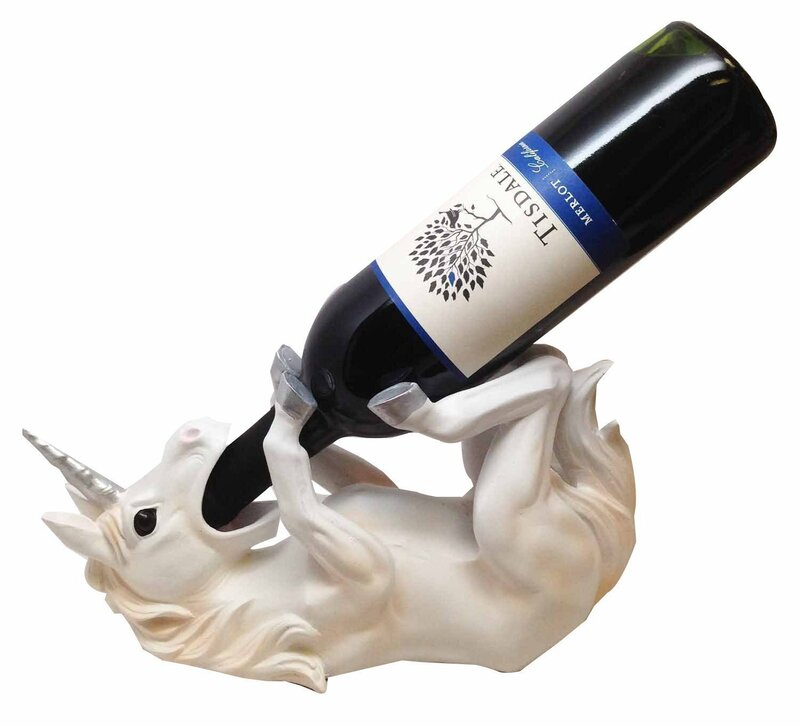 The Wine Of Sacred Purity Unicorn Wine Holder ($19.95, Amazon) holds only one bottle of wine, but it holds it very well. "Add some falir [sic] to your kitchen by displaying your wine bottles in this holder," the marketing copy suggests. "Beware of knockoff imitation pieces sold by unlicensed sellers." "It's not all joy and rainbows," warns verified purchaser Jon Hanson. "I bought this unicorn thinking it would bring luck, joy and rainbows into my home. Instead he just sits there, staring through my soul with his cold black eyes, just daring me to steal his bottle." "Everything you could ever ask for in a creepy unicorn," counters My Name Here, a sentiment that Mir agrees with: "Such A Majestic Housewarming Gift." Sculptor Art Donovan (previously) writes in about "Event Horizon," his newest lamp, inspired by black holes. Kyiv-based sculptor Polina Verbytska (AKA WeirdSculpture) is a prolific and grotesque maker whose jewelry and knickknacks are superb and grody, all the teeth especially: rings, necklaces, earplugs, etc, and then the rest of it, like these severed fingertip hairpins.